Acres Hill Community Primary School is a popular and growing 3-11 school serving a dynamic and changing community in the South East of Sheffield. If you choose to do your training with us you will be joining a supportive, happy and caring team of professionals who will nurture and challenge you in this first stage of your teaching career. As the community we serve becomes more diverse we believe that our children need to develop an international awareness alongside that of their own culture and identity. The International Primary Curriculum helps us to bring learning to life through exciting and stimulating topics. For example, in ‘We Are What We Eat’ our younger children discover that because food is essential to life, it plays a vital role in history and culture throughout the world. They find out about famine and drought and where drinking water comes from. In ‘Black Gold?’ our older children learn about the energy industry and its effects on the environment. They are challenged to consider what will happen one day when oil runs out and investigate alternative sources of energy and sustainable projects around the world. As our small school grows we are very proud of our harmonious and supportive community. Children behave well (outstandingly well according to OFSTED!) and our diverse community is respectful and tolerant. We work hard to maintain good relationships with parents and carers. Through our open start to each morning parents can engage in learning activities with their child and their teacher before the start of the school day. 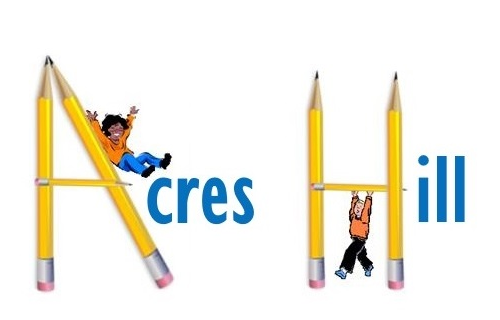 Children make good progress at Acres Hill and are successful in meeting national expectations. We have exceeded all national floor targets for attainment and progress at the end of KS2 for the last two years. We achieve this through a commitment to quality first teaching for every child and early identification of educational and social barriers for those children needing a boost. We use pupil premium funding to pay for interventions such as speech and language therapy, Reading Recovery and Every Child Counts to help children make accelerated academic progress. On the social side we employ a Learning Mentor and Pupil Support Assistant to tackle pastoral problems which might be holding children back such as low attendance and emotional or friendship issues. We can offer access to highly-skilled colleagues, particularly around the areas of Communication, Language and Literacy. Teaching Reading is a speciality of ours and through our partnership with the national, award-winning ESCAL programme, we have developed highly effective practice in promoting children’s skills in speaking, listening and reading. Our advanced facilities include a screen room where colleagues can observe, discuss and share good practice from behind the screen, reflecting on children’s learning and the quality of teaching observed. The links below will give you more information about everything Sheffield has to offer as a base for your PGCE or School Direct Initial Teacher training.